The Corporate Sales Program is designed for corporately-purchased and managed vehicles provided to an employee to conduct business or as an executive-level perk for a company’s top performers. 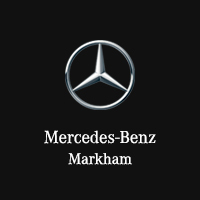 Business owners with a minimum of five vehicles under the business name or who purchase three or more Mercedes-Benz vehicles at once are eligible for the Corporate Sales Program. Customers looking to participate in the Corporate Sales Program must register their vehicle in the name of the business enterprise. Other conditions may apply, please visit any Mercedes-Benz dealership for details. Customers interested in the Executive Car Allowance Program must provide a pay stub or Signed Declaration Form from their HR Department upon sign up. Other conditions may apply, please visit your nearest Mercedes-Benz dealership for details.